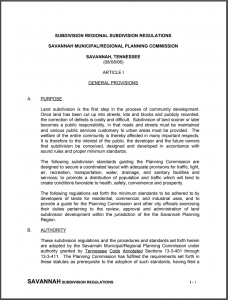 The city maintains a five-member municipal planning commission in accordance with the Tennessee Code Annotated. Most recent annexations include the Southeastern part of Savannah and areas on both sides of Highway 64 on the east side of the city. In addition to zoning and annexation, the commission has been very active in codes enforcement. In 1998, the City Planning Office and the Codes Enforcement Office were combined to create the Community Development Office. 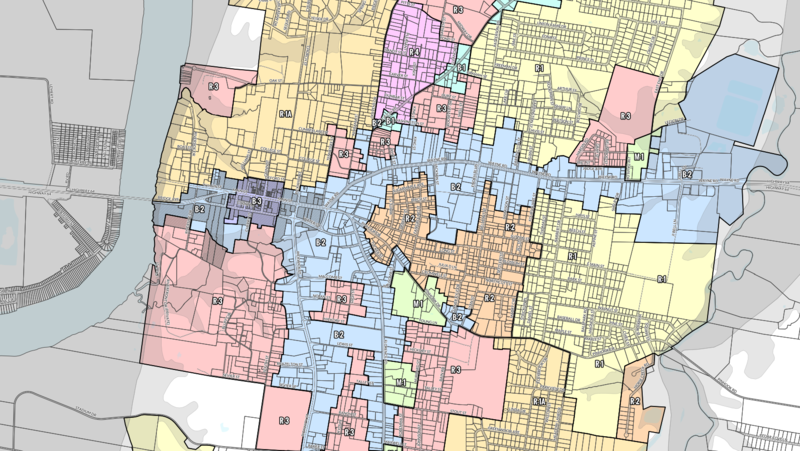 In 1999, the city provided input into the Hardin County 20-year Growth Plan which provides a framework for municipal boundary changes and incorporations, public services, preservation of undeveloped areas, and local government grant, loan and tax revenues. Community Development is comprised of two major areas, those being Zoning and Codes Enforcement. Zoning is an ongoing function of the department used to plan and regulate the zoning and land uses of property located within the city. 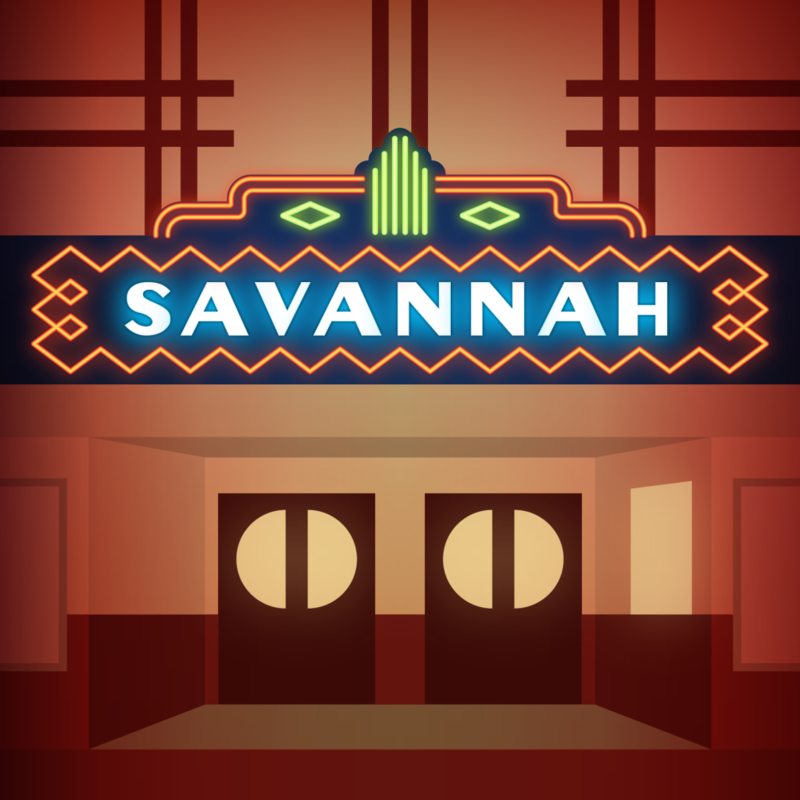 Zoning is further intended to guide and establish a coordinated and harmonious development of the City of Savannah, promote public health, safety, morals, order, convenience, prosperity, and the general welfare, as well as efficiency and economy in the process of development. The grouping of like property regions through zoning is evaluated on a continual basis to assess the lack of or abundance of any certain type of occupancy, to allow for readjustments when necessary to facilitate growth in the city when the demand is higher than the availability for a certain type of property or zoning classification. 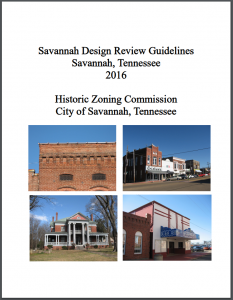 This is the official Zoning Ordinance for the City of Savannah, TN. This is the official Zoning Map for the City of Savannah, TN. While we strive to maintain the current version of this map, recent changes in zoning boundaries may not be included here. Be sure to contact the Community Development Department at City Hall for the latest version of this map. 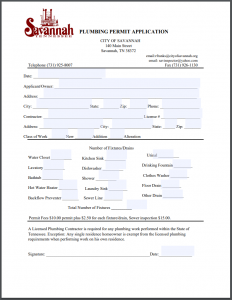 Community Development currently focuses on building structure inspections, with Tennessee Valley Electric Cooperative performing electrical inspections, and the city’s utility department performing mechanical and plumbing inspections on a limited basis, primarily for new utility installations. 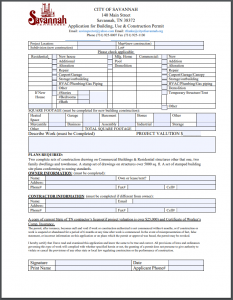 The City of Savannah’s inspection capabilities include having three Building Inspectors certified with the State of Tennessee. 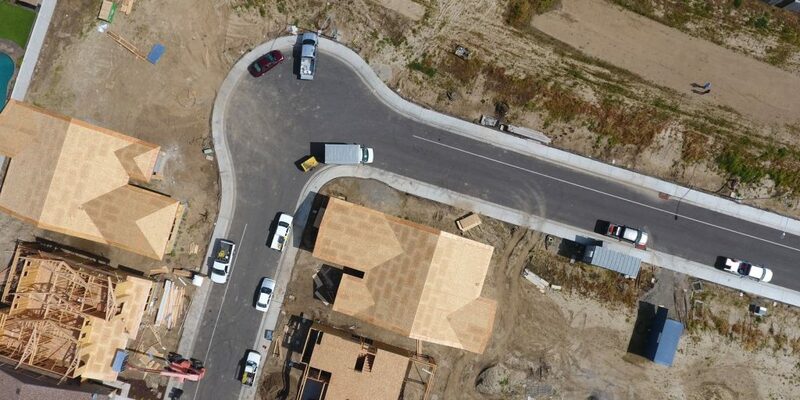 Land subdivision is the first step in the process of community development. Once land has been cut up into streets, lots and blocks and publicly recorded, the correction of defects is costly and difficult. Subdivision of land sooner or later becomes a public responsibility, in that roads and streets must be maintained and various public services customary to urban areas must be provided. The welfare of the entire community is thereby affected in many important respects. It is therefore to the interest of the public, the developer and the future owners that subdivision be conceived, designed and developed in accordance with sound rules and proper minimum standards. The following subdivision standards guiding the Planning Commission are designed to secure a coordinated layout with adequate provisions for traffic, light, air, recreation, transportation, water, drainage, and sanitary facilities and services; to promote a distribution of population and traffic which will tend to create conditions favorable to health, safety, convenience and prosperity. 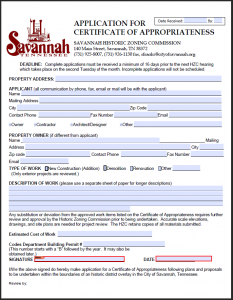 The following regulations set forth the minimum standards to be adhered to by developers of lands for residential, commercial, and industrial uses, and to provide a guide for the Planning Commission and other city officials exercising their duties pertaining to the review, approval and administration of land subdivision development within the jurisdiction of the the Savannah Planning Region. 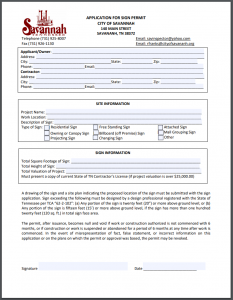 The following Permit Applications are available to download in PDF format. Applications and fees must be returned to the Community Development Department Office at Savannah City Hall, 140 Main St, Savannah, TN 38372.